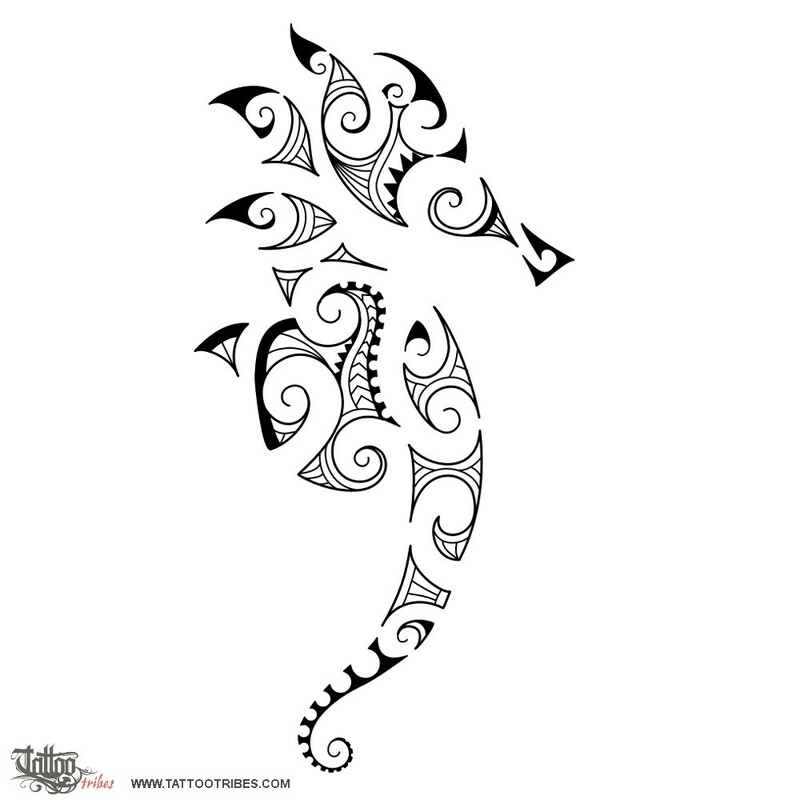 This design belongs to the Maori style series dedicated to the elements, represented through the animals that live in them. More info and the full list are in this post of our blog. 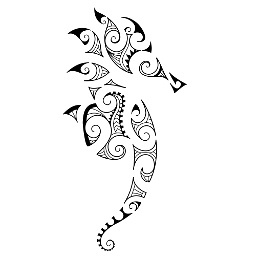 The seahorse represents a unique case, where the male is the one that carries the babies. It´s a symbol of family and of the father. He also represents patience and tenacity on account of how he lets waves move him around and how he clings to kelps with his tail.